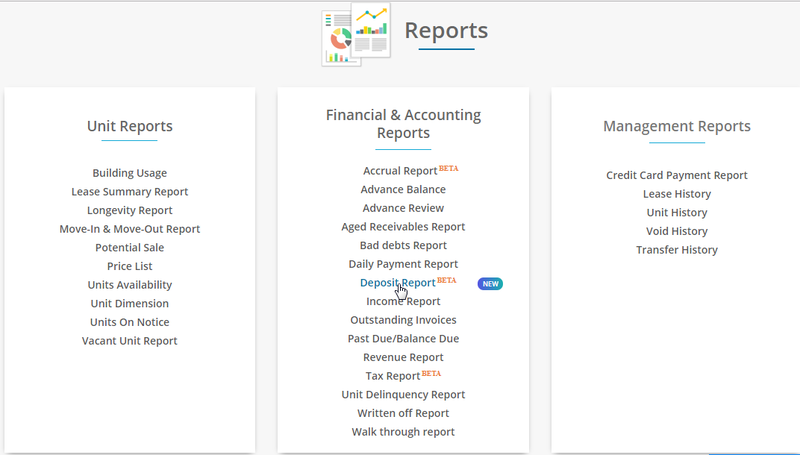 Under Financial and Accounting Reports section, you can find the Deposit Report. Click on the Deposit Report. Select the location and date and hit on Get Report button. For the selected date range, you will be able to view the list of deposits along with the tenant details.